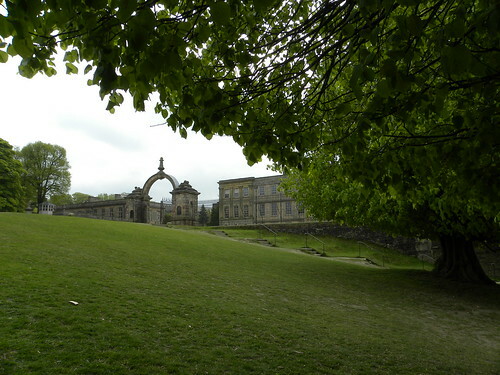 This entry was posted in Books, Culture, Eating out, Travel and tagged Lyme Park. Bookmark the permalink. You don’t know what a dustbin is? 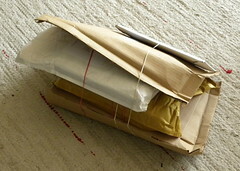 Or you don’t know what my parcels were doing in there? Not much. Just waiting for their witch to come and get them. The idea with some postmen is that rather than take post away with them again, which is inconvenient for all, they will leave them somewhere out of sight (while leaving a note in the letterbox). And that’s where dustbins and other recycling bins come in handy. But would you trail up my drive to check out my bins, just on the off-chance? Me? Certainly. Probably every day if I lived closer.